Filing Fee to Start. All legal fees included in the plan. 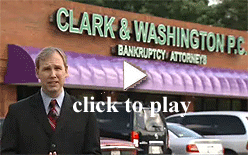 If you are tired of receiving harassing phone calls and collection letters, or if you are being threatened with repossession or foreclosure, Clark & Washington can help. We specialize in stopping creditor actions and helping our clients get their financial situation back on track. We have an intimate knowledge of our business. We have a thorough understanding of not only the ins and outs of Tampa bankruptcy filing, but also the needs of our clients. We have seen it all: lost jobs, health issues, divorce. We know how lost people can feel during trying times such as these. Clark & Washington is the compass pointing to financial freedom. We are with you every step of the way. Our Tampa bankruptcy lawyers will advise and direct you through each part of the process, leaving nothing for speculation. We provide you with an exit from your troubles, putting you on the road to financial security. Every person needs a dependable guide when navigating troubled, uncharted territory. You can trust the experienced Tampa bankruptcy lawyers at Clark & Washington to provide the support and guidance you need. 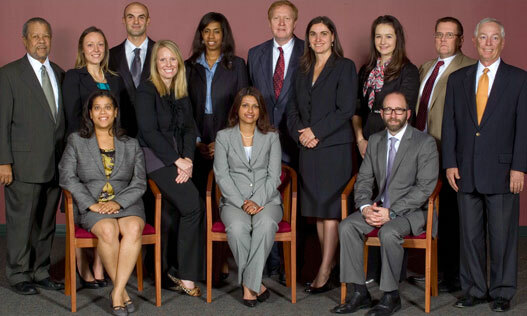 No matter how difficult your situation may be, Clark & Washington has the resources and experience to manage your case, with eight locations across the Tampa and Central Florida region, including bankruptcy attorneys in Orlando, as well as offices Tennessee and Georgia, including bankruptcy attorneys in Atlanta. 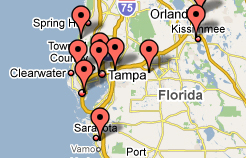 We are led by top, experienced Tampa bankruptcy lawyers, and we are further bolstered by our support staff. This part of our team is extensively trained in Tampa bankruptcy filings, and they are ready to answer your questions and respond to your concerns. Because we value you time, we never place client calls on hold. A member of our team will be there for your call when you need it. If you are ready to speak to a Tampa bankruptcy attorney about your financial future, give us a call today at 813-345-5954 or come in for a free consultation. If so, please provide your telephone or email address.